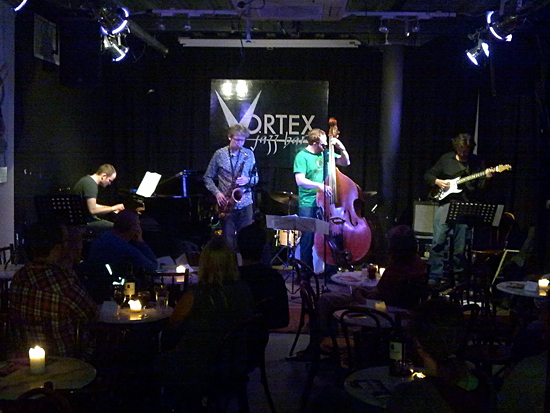 The Vortex Jazz Club, housed in the stunning Dalston Culture House, is one of the renowned clubs in North London. It’s been showcasing jazz in the capital for over 20 years and is now open every night of the week, host to some of the best contemporary jazz musicians in the UK. The club has close connections to the New York scene and regularly features world class musicians. The club has an active program of educating and introducing jazz to young talent. It has a series of summer workshops, mixing the professionals with 13-18 year olds, and then promoting the talent through club performances after the workshops. The club itself is small and cosy but not cramped, has friendly staff and is way better priced then some of the other clubs in London. Playing to all tastes across the genre – straightahead, big-band, contemporary, vocal, free-improv and world-music – you’d be hard pressed not to find something you can get your jazz juice flowing to. Performances start around 8.45pm unless shown otherwise in the programme. There are usually two sets of 45 minutes each with a break between.